Clock Oscillator SMD | QVS Tech, Inc.
QVS TECH SMD Clock Oscillators are available in a wide variety of packages to meet your needs. Our Clock Oscillators are available with custom frequencies, tight tolerances and extended temperatures and are RoHS compliant. Features include Low Jitter, HCMOS/CMOS/TTL Compatible Logic Levels and Enable/Disable Functions. QVS Tech Oscillators come in many low profile sizes including ultra-small 1.6 x1.2mm, also 3 ×5 and 5×7 and larger. Typical applications include Test Equipment, Camera and Video Equipment, Navigation Equipment, Medical Electronics, Modems, Routers and Networking Equipment. Our clients rely on us to provide a steady stream of high quality, dependable products so that their businesses never miss a beat. SMD clock oscillators are in high demand for modern electronics. QVS Tech is proud to supply many clients with our superior products, and we know just what it takes to ensure high quality, timely delivery, and friendly customer service for each and every order. At QVS Tech, we pride ourselves on the quality of our products. Our SMD clock oscillators are a key example of what we do best. Surface mount clock oscillators can be used in a wide range of technologies. At QVS Tech, we provide a variety of oscillators to ensure that our customers receive the best product for their application. Each product we supply has been quality tested to ensure compatibility to our customers’ specifications and long life. Another key to the success of both QVS Tech and our clients is our constant search for the best and most recent technological advances. As technology changes, the requirements of our clients change. Our SMD clock oscillators will always be as innovative as the latest navigation, medical, camera, video, and test equipment. The latest routers and networking equipment will always require a clock oscillator, and we will continue to ensure that our products always fit the market needs. QVS Tech’s goal is to make it easy for you to have a steady supply of the SMD clock oscillators that you need. Every time you work with us, you’ll work with a friendly, helpful customer service representative who is familiar with your needs and the technology. 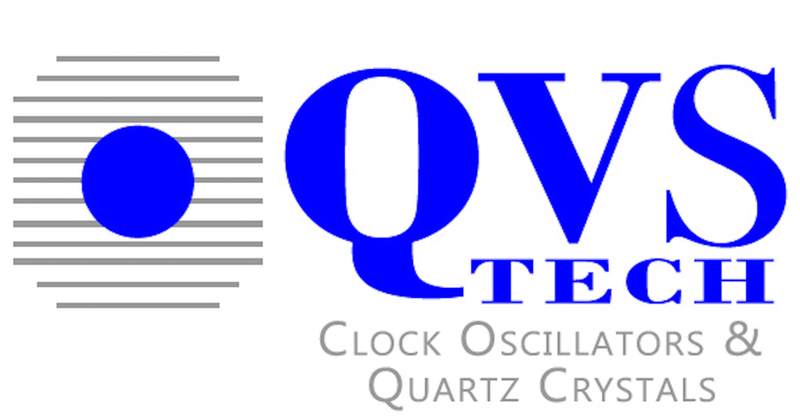 Work with QVS Tech and you will always have a steady supply of high quality clock oscillators, SMD or thru-hole. Call us today at 760-929-8677 or visit our website for a quote or to browse our catalog. At QVS Tech Inc. we put the customer first, every time!